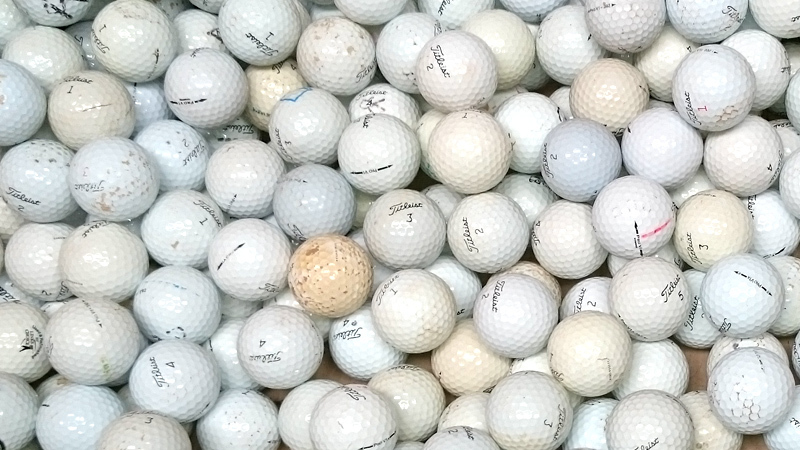 At Lake Golf Balls we spent over 10 years collecting, cleaning, sorting and grading golf balls. 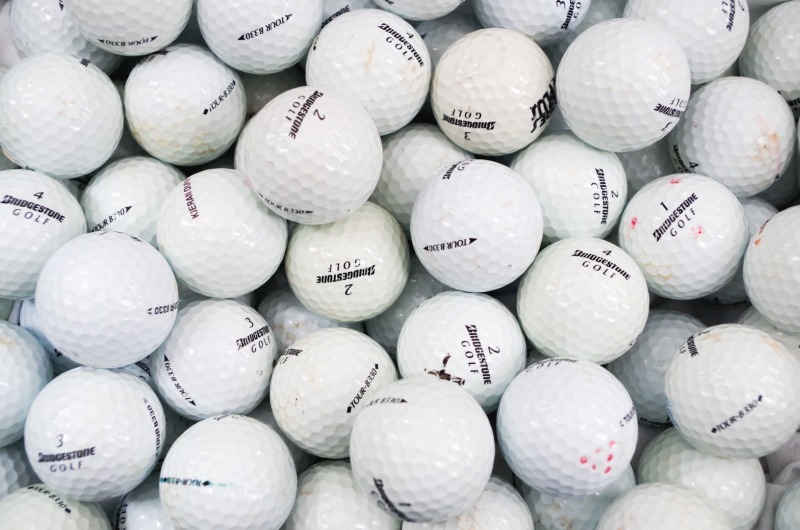 This guide will help you to see first hand different golf ball grades and their condition. 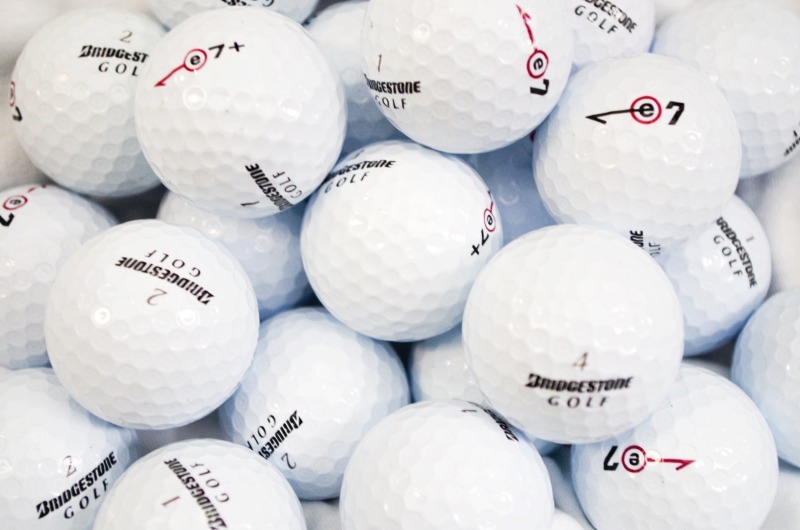 Grading is completed by our experienced warehouse staff who go through thousands of golf balls daily. PEARL Pearl Grade golf balls are the best available recycled golf balls that are virtually new and have the feel and appearance of the ball that was played for a maximum of one hole. Also known as "Mint", "Perfect" or "AAA" these balls have a consistent colouring, glossy shine and have no major marks or scratches. A GRADE A Grade golf balls are clean, perfectly playable that may have minor scuffs or marks but nothing that would affect distance, trajectory or feel of the ball. Condition is similar to a golf ball that was played for a few holes. Also known as "Near Mint", "Excellent" or "Near Perfect" these golf balls may have minor cosmetic blemishes but have no cuts nor creases. Colour and sheen may be slightly inconsistent. B GRADE B Grade recycled golf balls may be cosmetically challenged and have moderate surface blemishes and minor to moderate ink marks. None of the above blemishes should affect trajectory, distance or flight path. Cart paths, trees, and other small markings on the surface may be evident. Also known as "Good", "3rd Grade" or simply "Used" performance-wise these balls are no different to Grade A or Pearl just not as nearly as clean looking. 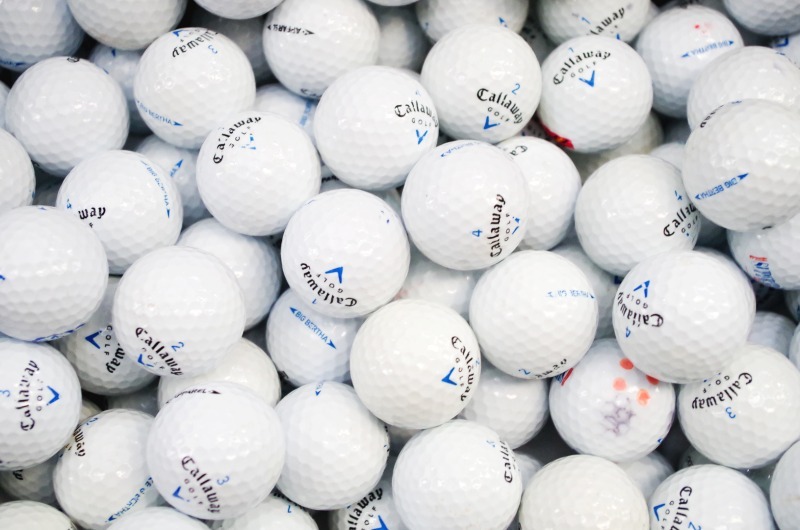 C GRADE C Grade golf balls offer the best value for money and ideal for practice rounds. Moderate cosmetic blemishes and surface marks as well as discolourations are often present. The integrity and flight characteristics are not compromised. These golf balls are similar to golf ball that was played for 9 to 18 holes and have plenty of live left in them. We stand 100% behind this product and all purchases are backed by our 100% guarantee. REFINISHED First, these balls are cleaned then stripped using industrial machines. After they are repainted and original logos are stamped on them. Also known as "Refurbished" these balls offer a Grade A quality at discounted prices. REJECTS Also known as X-outs. These balls didn�t pass our stringent quality controls and didn�t qualify for any other grade. These have splits, cracks, deformed, paint worn off or damaged in any other ways. Rejected balls are not suitable for play but may be suitable for practice shots over hazards and ponds whereby you may lose some in the process. These balls are priced at give away prices and we offer no guarantee nor returns. 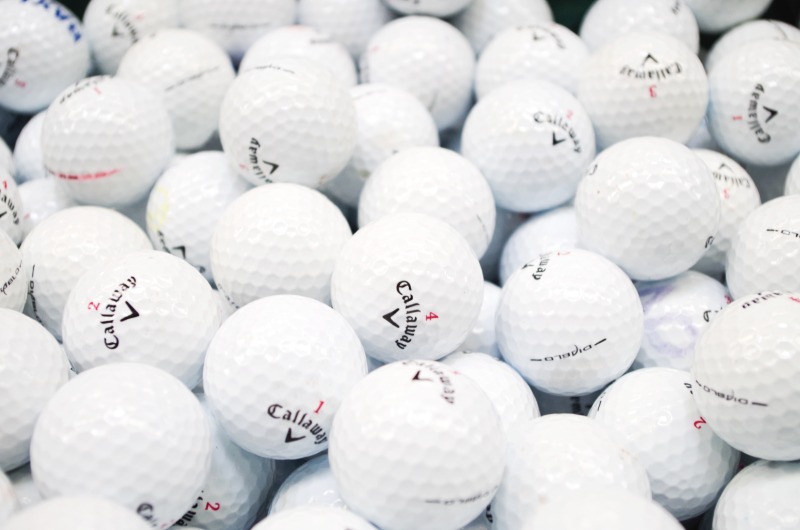 Our used golf balls are probably of the highest quality available on the market. We back all purchases with a 100% Customer Satisfaction Guarantee and 14-Day No Quibble Return Policy for your peace of mind! BENEFITS OF BUYING USED & RECYCLED GOLF BALLS. 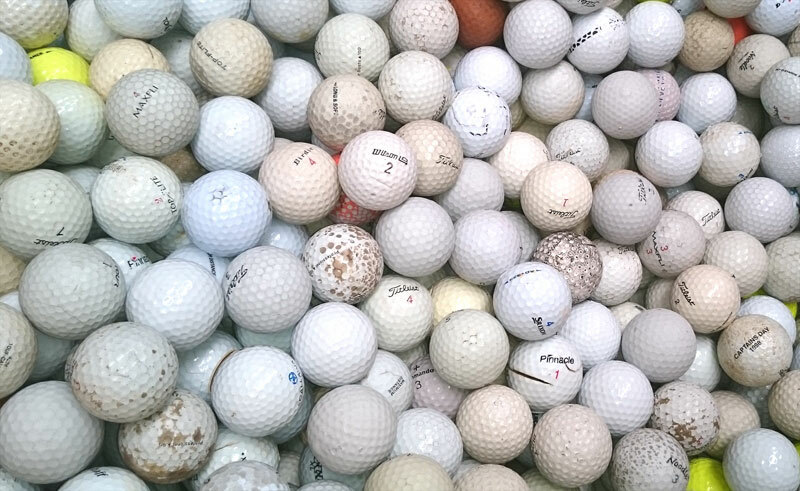 Buying used and recycled golf balls offers many advantages. To start with you only pay a fraction of the price of new golf balls. Then if you�re inexperienced golfer who would like to improve his game - you get a peace of mind by not worrying if you send your golf ball to the bottom of the lake or lose it within golf course hazards. Finally, you do your bit for environment by recycling golf balls and reducing demand for newly manufactured golf balls. "We always buy our golf balls and accessories from Lake Golf Balls. Amazingly fast, efficient service, and good prices. Been using them for over 7 years and haven�t any cause for complaint at all. Would highly recommend!"